The natural panorama, under water beauty, various sea organisms, mangrove forests, all are still be natural and pure, so that Karimunjawa now becoming a sea national park. 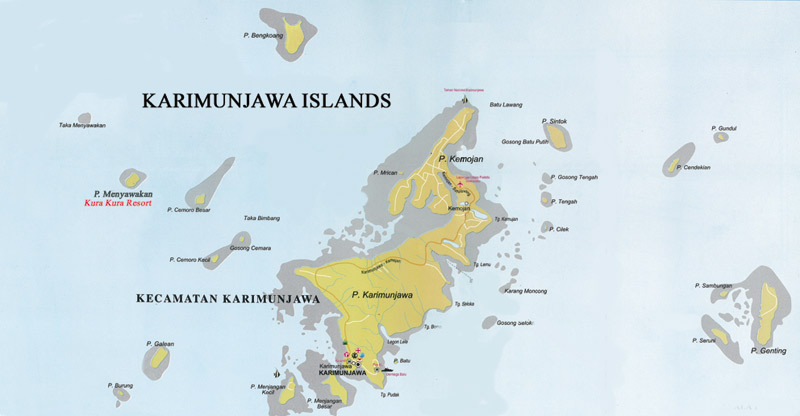 The Karimunjawa islands is administratively part of Jepara regency, located approximately 45 miles northwest direction from Jepara city. Totally, this area covers 107,226 ha, with 100,105 ha is sea part, and the reminder is land. The average temperature in this area is about 26 until 30 degrees Celcius, with minimum temperature is 22 Celcius and maximum is 34 Celcius. 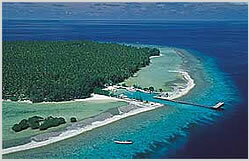 The fascination of Karimunjawa is its flora and fauna. It can be seen from five species of flora ecosystem, those are; coral reef ecosystem, forest of mangrove, coastal forest, field-ponder and lowland forest. On the other side, there are many kinds of fauna, like long tail monkey, deer, and also aquatic fauna which is consisting of 242 decorative fish types and 133 kinds of aquatic biota and there are also 2 types of turtles which live in National Park ecosystem of Karimunjawa islands.